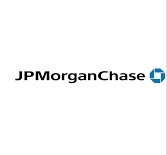 Company:- JPMorgan Chase & Co.
About Us:- JPMorgan Chase & Co. is a multinational banking and financial services holding company headquartered in New York City. Strong software engineering skills with 3 – 8 years of hands-on experience in developing multi-threaded applications using advanced JAVA. Working knowledge of message oriented architectures and usage of appropriate design patterns. Strong debugging and profiling skills using any commercial Java Profiler.